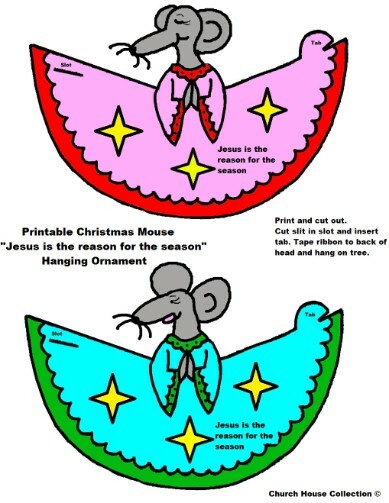 Just print these cute little mouse ornaments out on cardstock. Cut out. Cut slit in slot and insert the tab. Tape some ribbon to the back of the mouse head. Hang on the Christmas tree. It has the words "Jesus is the reason for the season". These are so simple to make for kids. 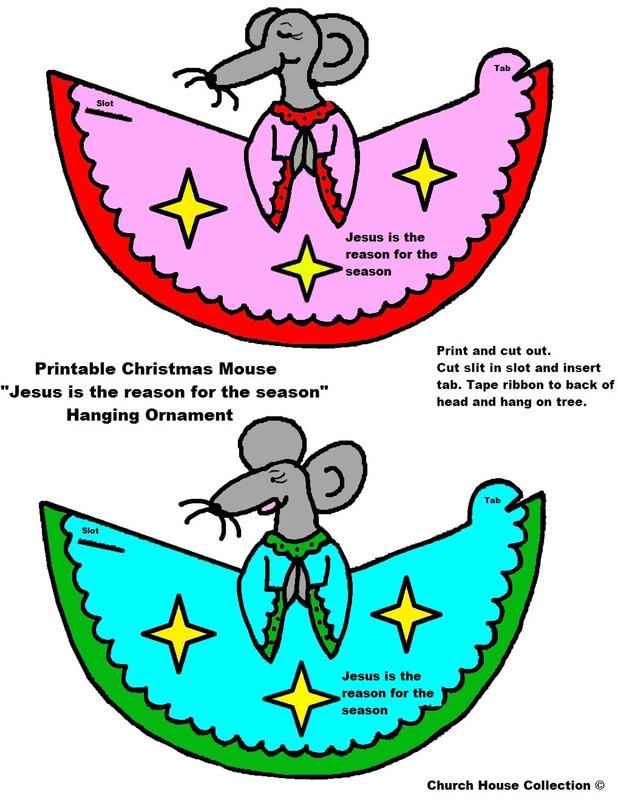 If you like little mice then this a craft for your kids! You could brush some pretty glitter on the dress of the mouse to give it some sparkle!